BILOXI, MS (May 25, 2016). The United States Senate voted 55-43 today in support of Senate Resolution 28, which provides Congressional disapproval of a health and safety rule aimed to ensure the safety of American consumers. The Resolution seeks to prevent the Department of Agriculture (USDA) from continued implementation of a robust catfish inspection program that ensures imported catfish entering the US complies with all US food and safety rules, including rules outlawing the use of carcinogenic chemicals. The American Shrimp Processors Association (ASPA) has closely watched the rulemaking that transfers catfish inspection from the Food and Drug Administration (FDA) to USDA. 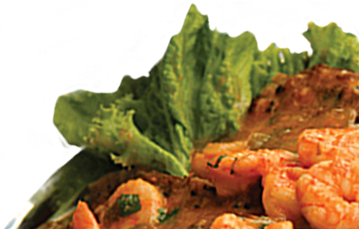 Like catfish before the transfer to USDA, domestic and imported shrimp is subject to FDA inspection. FDA does not have adequate resources to provide vigorous inspection of imported seafood. In fact, FDA currently inspects only 1-2% of imported seafood. FDA’s low inspection rates and widespread use of illegal chemicals in foreign raised seafood provided the impetus to move catfish inspection to USDA. Senators opposing the USDA health and safety regime cite the increased cost of compliance by importers of foreign catfish as the main reason for their opposition. Opponents of the USDA program apparently reject evidence showing that shifting the program to USDA would actually prevent cancers in the American public. ASPA Executive Director Dr. David Veal expressed serious reservations about today’s vote. “I can’t understand how a US Senator can vote to support the special interests of the catfish importing community over the health and safety of the American people. USDA estimates the cost of the catfish inspection program at approximately $1.1 million per year. That is a drop in the bucket, and worth every cent if it prevents even one single cancer. The Senators voting for this resolution have placed the economic interests of the catfish import community above the health and safety of the American consumer.” The vote is even more confounding in light of USDA reports over the last two weeks that it rejected several shipments of imported catfish due to the presence of illegal drugs. ASPA thanks all of the Senators who opposed the resolution, especially Gulf Coast Senators Cochran and Wicker (MS), Vitter and Cassidy (LA), and Sessions and Shelby (AL). ASPA counsel Edward Hayes urged the Gulf Coast delegation to continue fighting for the safety of our food supply. “The domestic shrimp industry stands with these Senators who measure the health and safety of American citizens above special interest dollars and cents. This resolution further empowers the domestic seafood industry to ensure that the economic interests of the importing community are not placed ahead of American health and safety.” ASPA urges anyone who cares about the safety of our food supply to contact their local congressional office to oppose this action in the House of Representatives.